The San Diego-Imperial Council's age-appropriate Cub Scout camping programs are packed with theme-oriented action that brings Tigers, Cubs and Webelos Scouts into the great outdoors! We offer a wide range of camping opportunities, from overnighters to extended resident camps. Day Camp is a week-long program that comes to the youth in his or her neighborhood. Our Districts offer these fun-filled camps in parks across San Diego and Imperial Counties. Resident Camp is a four-day overnight experience held at our own Mataguay Scout Ranch. During resident camp, Webelos enjoy theme-based adventure and excitement, while working on rank advencement, belt loops and pins. Fun With Son is a three-day overnight experience held at our own Mataguay Scout Ranch and Camp Balboa for parents/guardians and their Cub Scout to spend time together one-on-one. 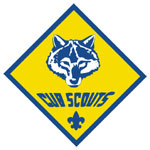 Enjoy a weekend of fun filled activities for all levels of Cub Scouts, from Tigers to Webelos. Family Camping is where Cub Scout Scout pack families enjoy camping in local council camps and other council-approved campsites. Camping programs combine fun and excitement while doing one's best, getting along with others and developing an appreciation for ecology and the world of the outdoors.